Click here to reveal a bigger, interactive map and follow Etta's adventure. 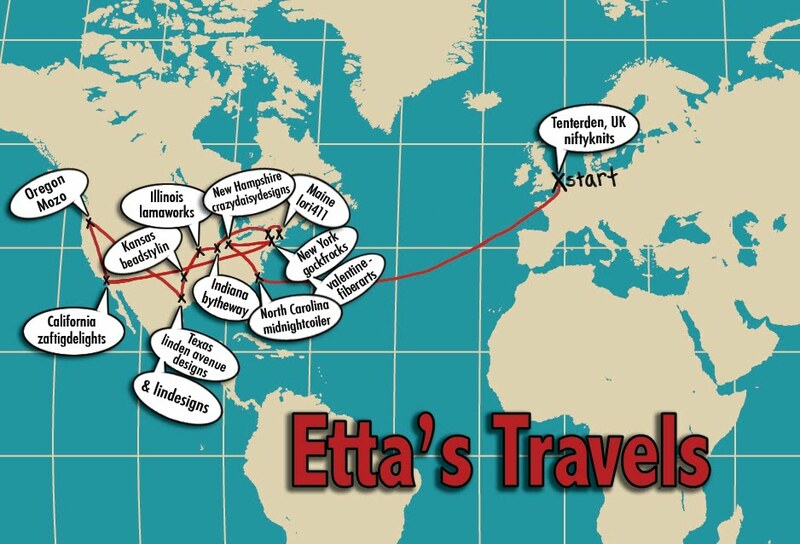 Tomorrow I'll show all the goodies Etta picked up on her travels and tell you how to enter the giveaway! how cool is that!? Great job! That little Meerkat really made the rounds! Can't wait to see who wins the giveaway! can't wait to see the goodies! !